These reusable straws are the best metal straws you can buy for Half Pint (8oz) Mason jars! We recommend a thick straw cleaner, but they are also dishwasher safe. 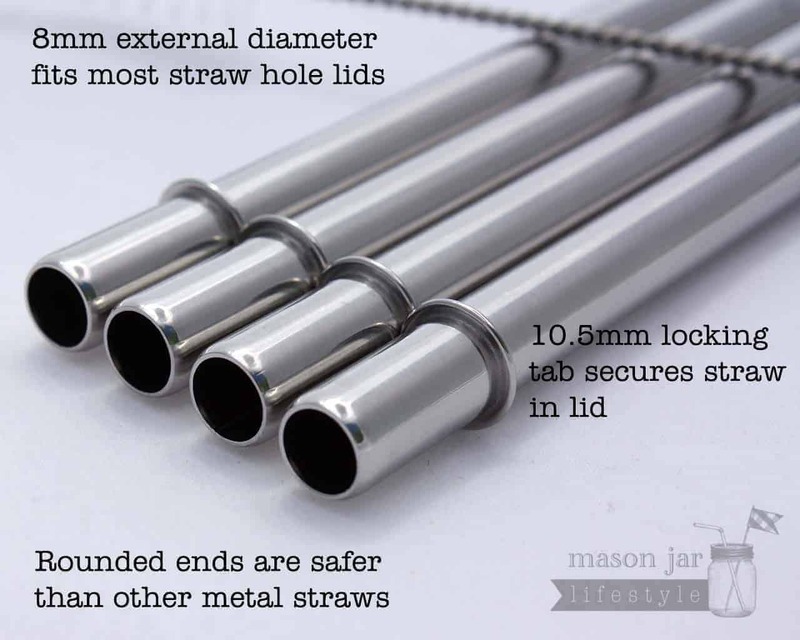 View our other short straws for half pint Mason jars. Our 5 3/4″ long, 8mm outside diameter stainless steel straws fit in most of our straw hole lids and are perfect for drinking any beverage. Half pint jars are ideal for children’s drinks and also for cocktails! Keep your kids safe from chemical leach and serve your cocktails in style! The most reliable way to clean reusable straws is our thick straw cleaner with soap and hot water. They are also dishwasher safe, or a quick rinse might be sufficient. You can also boil these to disinfect them if you want to.